Publisher: Electronic Arts. Developer: GHOST EA. Platform: Win, PS3, PS4, XBOX 360, XBOX ONE. 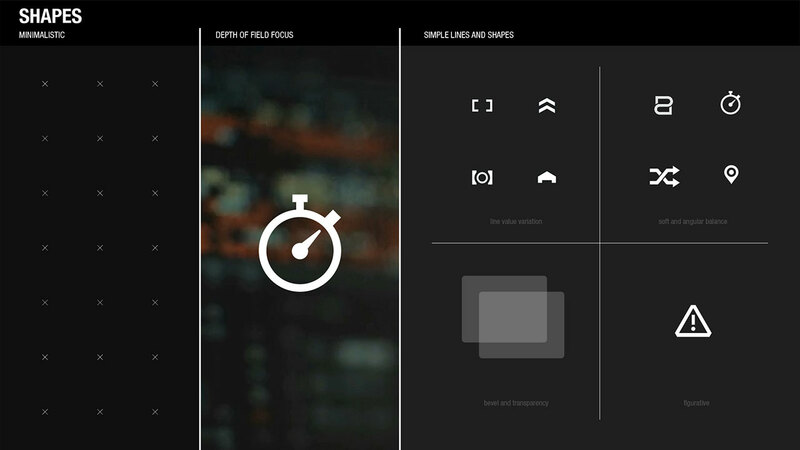 My Contribution: UI Artist, Motion Graphics Artist. 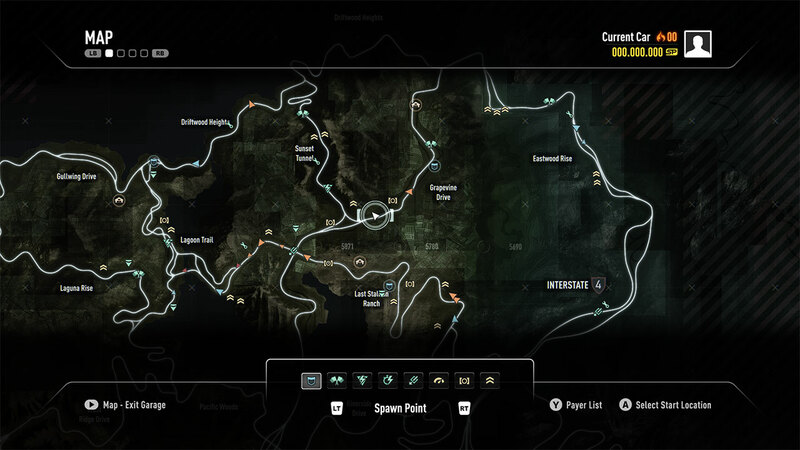 My work in Need for Speed Rivals involved creating visual targets for the UI Art Direction, wireframes, navigation mocks and final art for the game. Working on a new studio, GHOST EA, gave me the opportunity to be part of a growing team and contribute to the studio's identity. 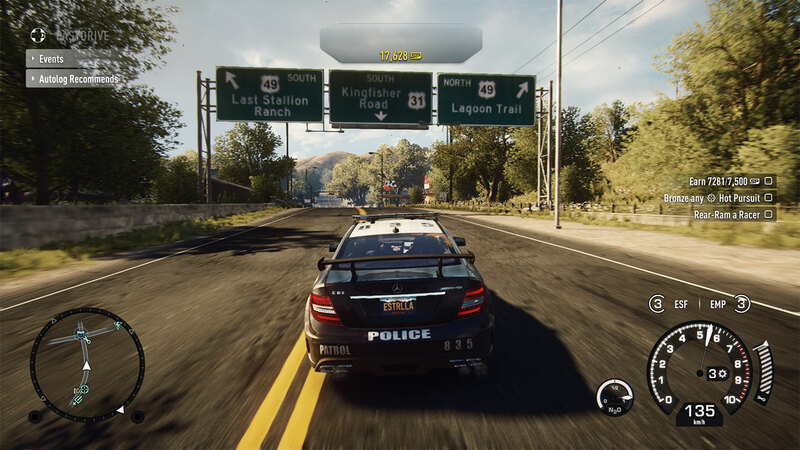 Need for Speed Rivals focuses on a car combat experience where users can play as Cops or Racers. This is not a car simulator game but rather a car game with an arcade feel to it. We wanted to have a distinct feel to each faction. While the Racers are risk takers and adrenaline seekers always at the edge of the law, the Cops are the law and they have no problem on bending it in order to catch the Racers. Fig. 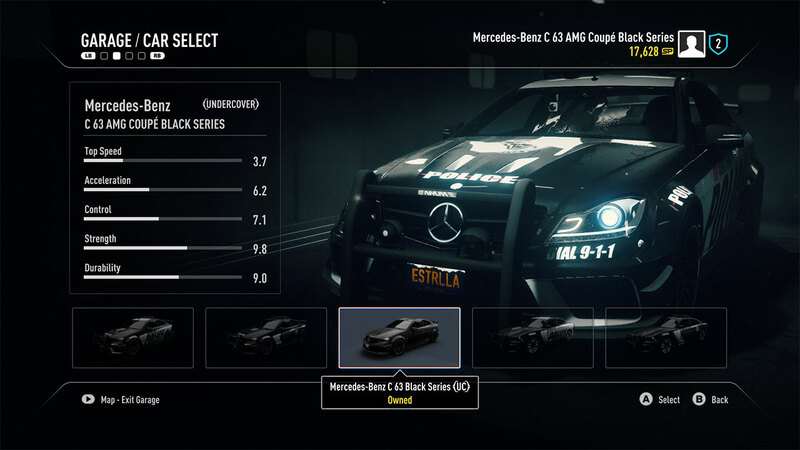 1 Car Select screen for Cops. Fig. 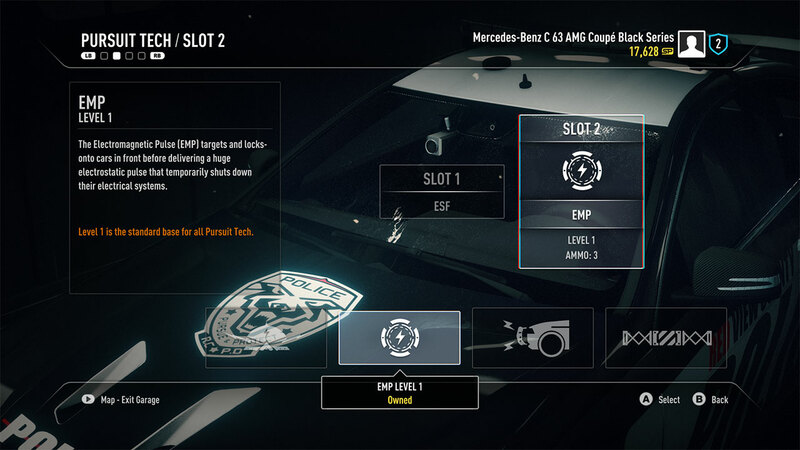 2 Weapon Select screen for Cops. Fig. 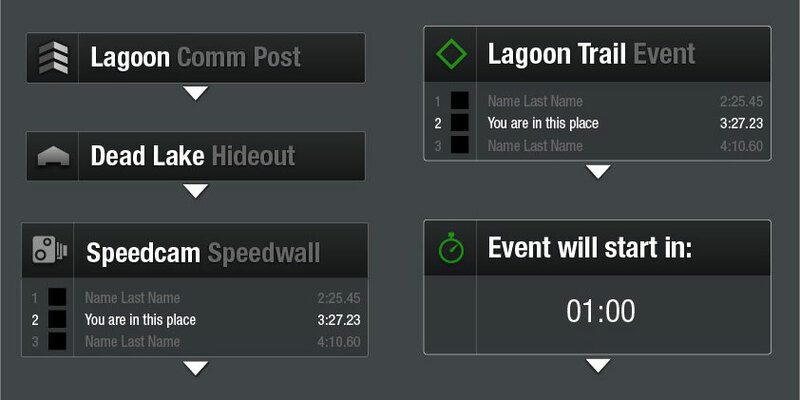 3 Car Personalisation screen for Racers. Fig. 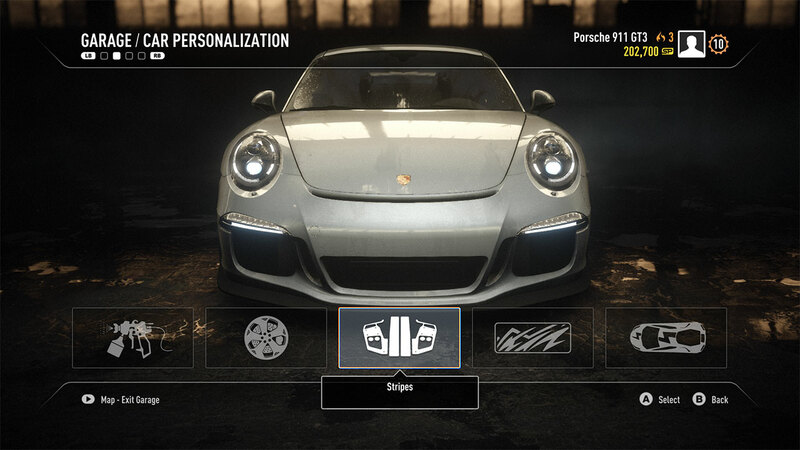 4 Car customisation icons. Fig. 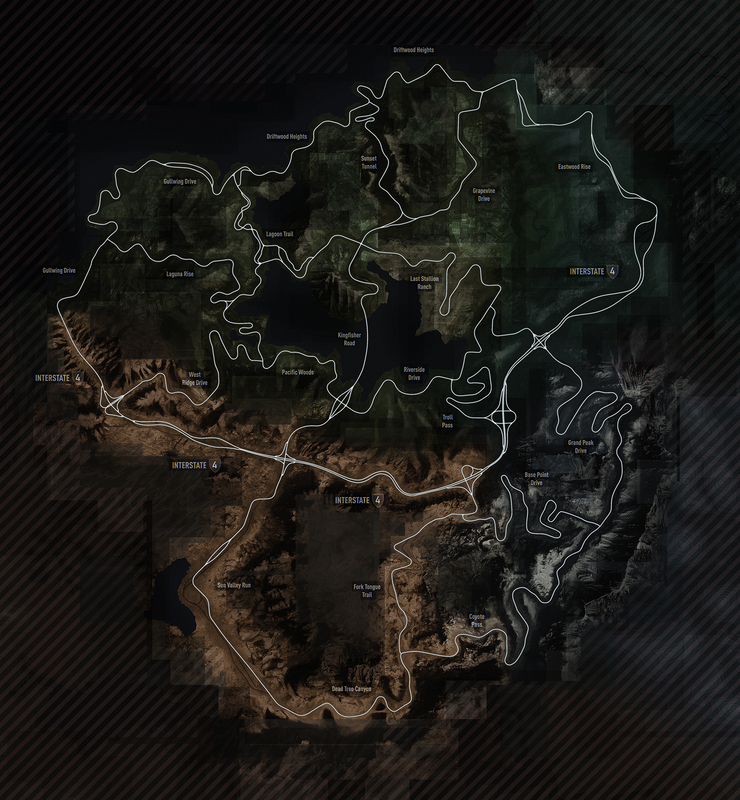 7 Full resolution texture Map. Fig. 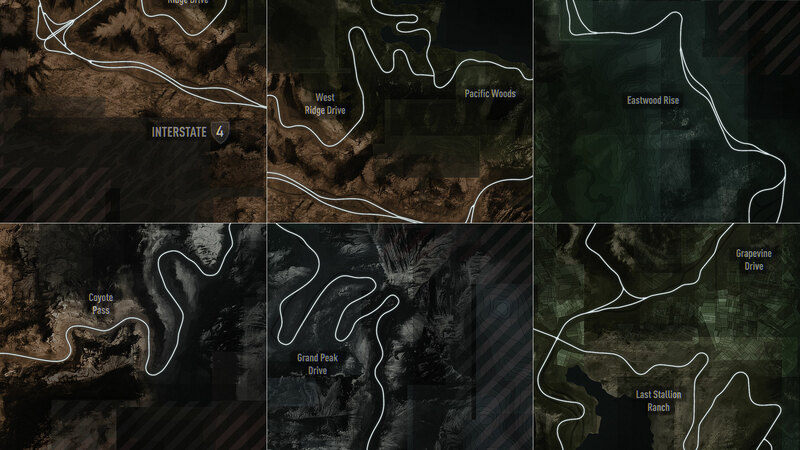 8 Details of the Map texture. Fig. 9 Art Direction - shape language. Fig. 10 Augmented reality screen design. Fig. 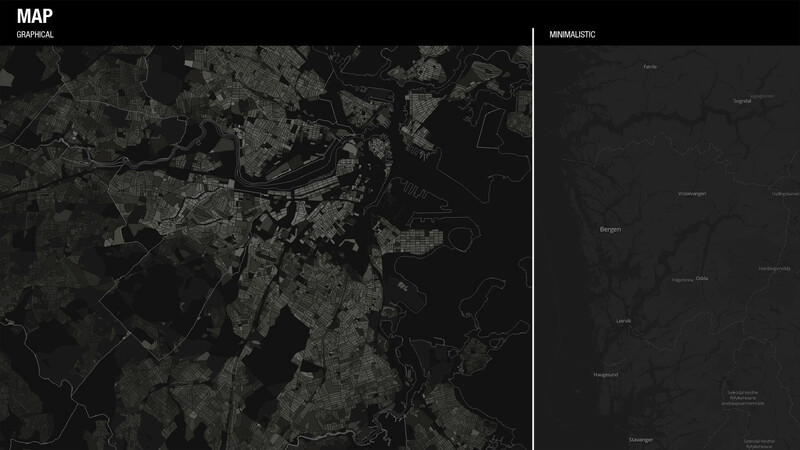 11 Art Direction - map style. Fig. 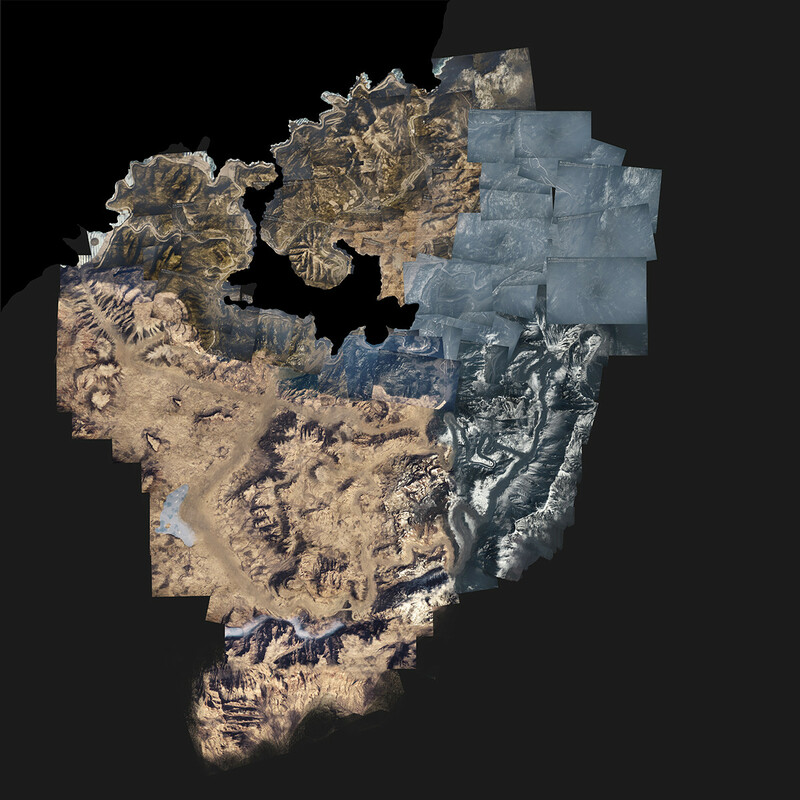 12 Map texture development process. Fig. 13 HUD Final Design for Cops. Fig. 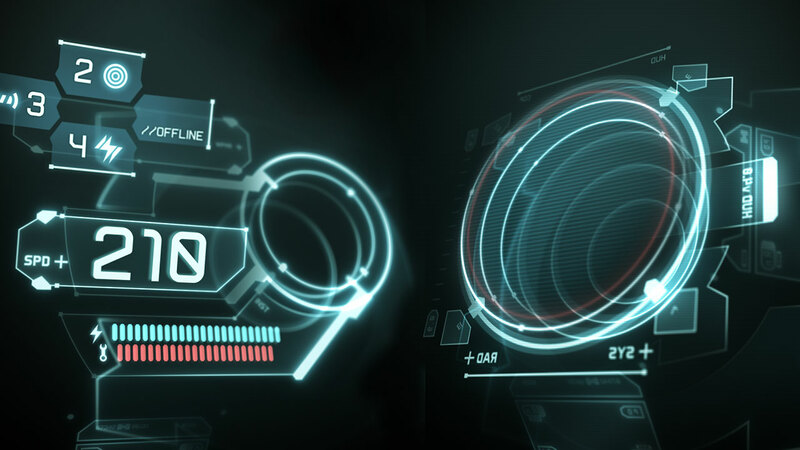 14 In-game HUD for Cops. Fig. 15 HUD style exploration. Fig. 16 HUD Concept mock. Fig. 17 Motion Graphics for NFS Rivals reveal at E3. 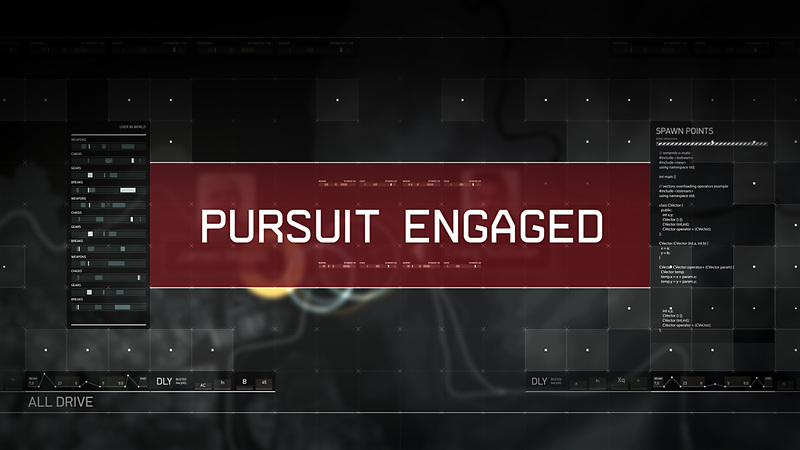 For the Electronic Arts presentation I contributed creating animated maps and infographics that would play in pair with real-time players on stage. All images property of Electronic Arts.